Join us for an afternoon of arias and ensembles from W.A.Mozart’s Don Giovanni and other operas followed by high tea (finger sandwiches and treats) and a silent auction. You will be the first to hear the singers from our upcoming production, Don Giovanni, and enjoy tea while listening to music played by the Rosette String Quartet. 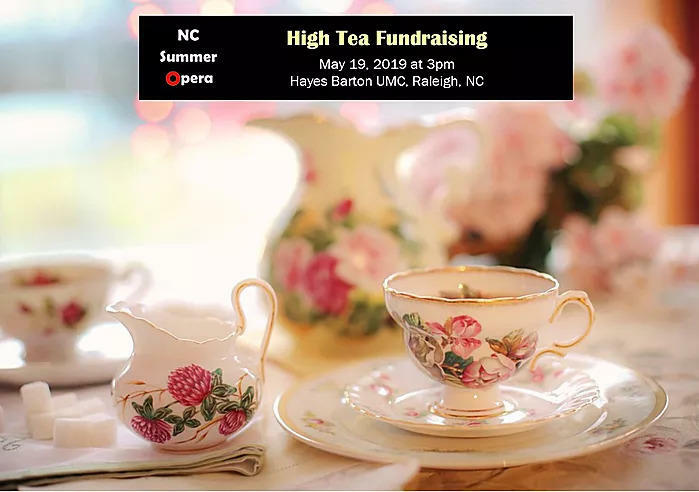 If you would like to contribute any items for the silent auction, please contact ncsummeropera@gmail.com The North Carolina Summer Opera is a 501 (c)(3) organization. Your contribution is tax deductible.